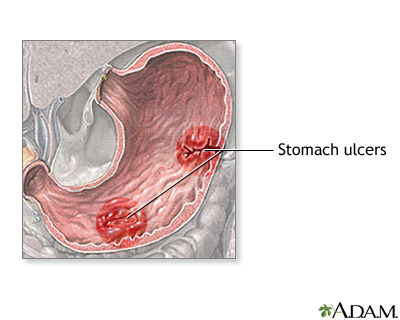 An upper GI series in a patient with cancer of the stomach (gastric carcinoma). 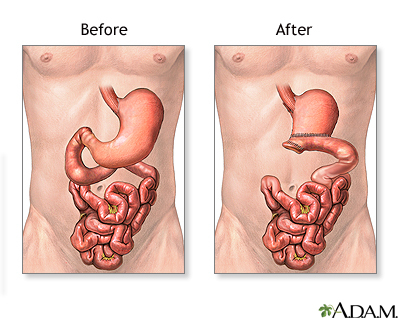 The stomach is the portion of the digestive system most responsible for breaking down food. 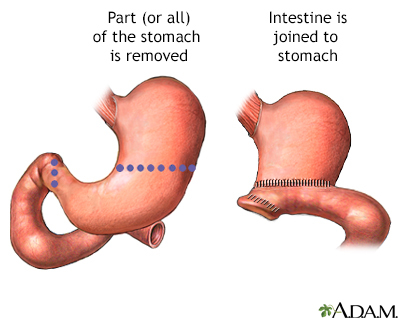 The lower esophageal sphincter at the top of the stomach regulates food passing from the esophagus into the stomach, and prevents the contents of the stomach from reentering the esophagus. 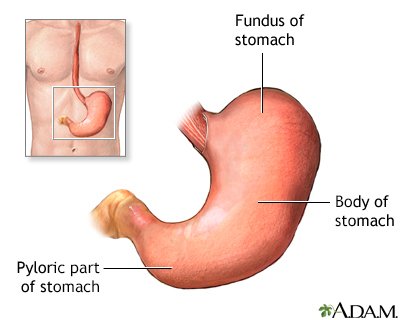 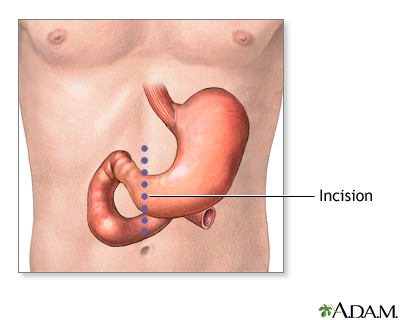 The pyloric sphincter at the bottom of the stomach governs the passage of food out of the stomach into the small intestine.